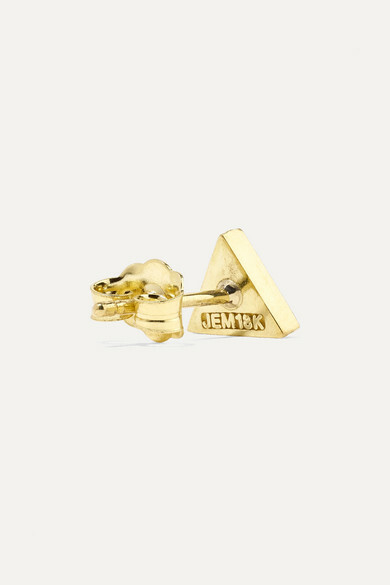 Jennifer Meyer’s earrings are handmade from 14-karat gold in a dainty triangle shape. 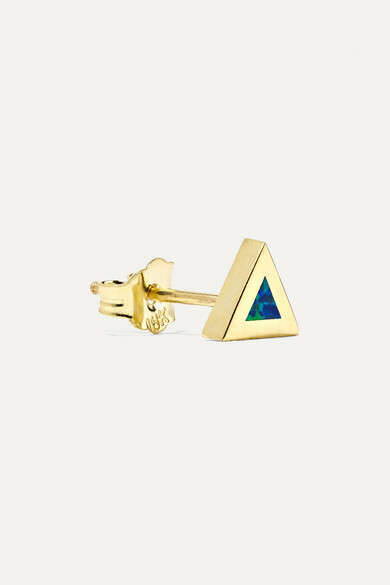 They're inlaid with two iridescent opals - the birthstone for October birthdays and a gem that's said to promote good vibes and harmony. Make them your everyday pair. Shown here with: Theory Top, McQ Alexander McQueen Jacket.